«OTExpert» software application is developed for the purposes of automation of audio evidence forensic investigation, acoustic signal scientific research and educational purposes. Contemporary mathematic methods and digital signal processing techniques allow to produce a comprehensive study of audio recordings. 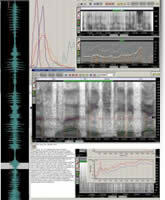 «OTExpert» is designed to solve both identification and diagnosis forensic tasks for audio and video recordings: expert pre-processing; noise reduction and speech enhancement; channel compensation and speech intelligibility improvement; forensic audio text decoding; forensic speaker voice identification; establishing of real date and time of recording creation. 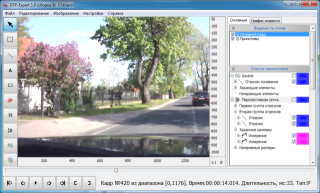 DTPExpert is a software application designed for automation of forensic video examination, forensic examination of traffic accidents, forensic description of events recorded on video. Comprehensiveness and completeness of the forensic study of traffic accidents videos, significant improvement of experts’ performance, avoiding of typical mistakes (e.g. estimation of time) that occur using not specialized video and image processing software applications are the focuses of «DTPExpert». Media files structure forensic examination. ENF-Server is a hardware/software complex that provides precise collection (every second) of ENF data that can be used to verify audio/video creation date and time or prove its editing.